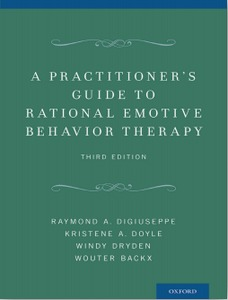 A practioner’s guide to rational emotive behavior therapy. 3rd edition. 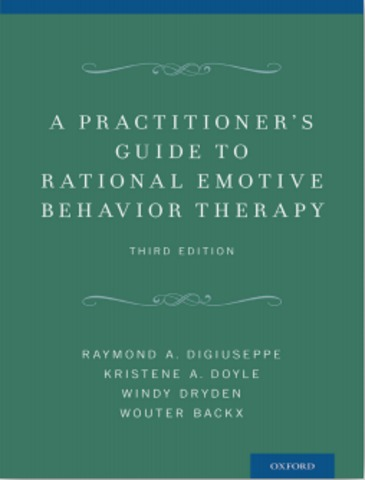 Extensively updated to include clinical findings over the last two decades, this third edition of A Practitioner’s Guide to Rational Emotive Behavior Therapy reviews the philosophy, theory, and clinical practice of REBT. This model is based on the work of Albert Ellis, who had an enormous influence on the field of psychotherapy over his 50 years of practice and scholarly writing. Designed for both therapists-in-training and seasoned professionals, this practical treatment manual and guide introduces the basic principles of REBT, explains general therapeutic strategies, and offers many illustrative dialogues between therapist and patient. The volume breaks down each stage of therapy to present the exact procedures and skills therapists need, and numerous case studies illustrate how to use these skills. The authors describe both technical and specific strategic interventions, and they stress taking an integrative approach. The importance of building a therapeutic alliance and the use of cognitive, emotive, evocative, imaginal, and behavioral interventions serves as the unifying theme of the approach. Intervention models are presented for the treatment of anxiety, depression, trauma, anger, personality disorders, and addictions. 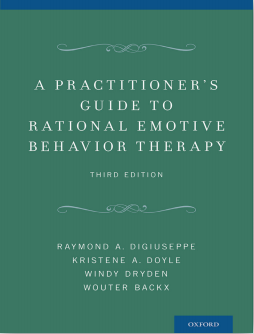 Psychologists, clinical social workers, mental health counselors, psychotherapists, and students and trainees in these areas will find this book useful in learning to apply REBT in practice.